Aguiar Pavers was founded by Wesley Aguiar who lived and installed many paving stone and travertine pool decks in Florida before relocating to Washington State. 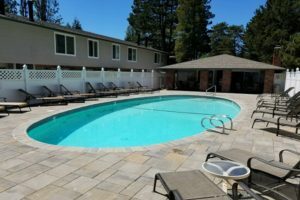 With him he not only brought a wealth of experience but a passion for creating a dynamic long-lasting product and return customer base. 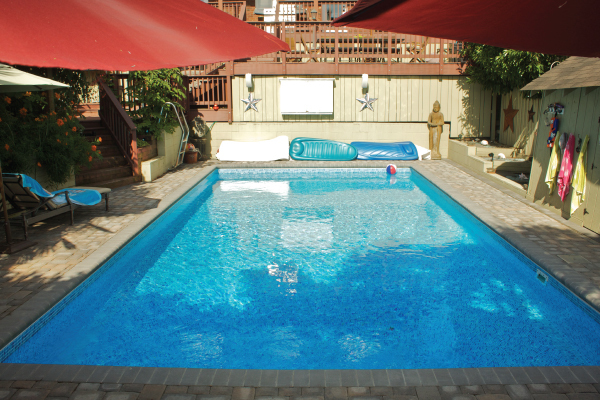 No other installer has the experience installing pool decks that Aguiar Pavers has. 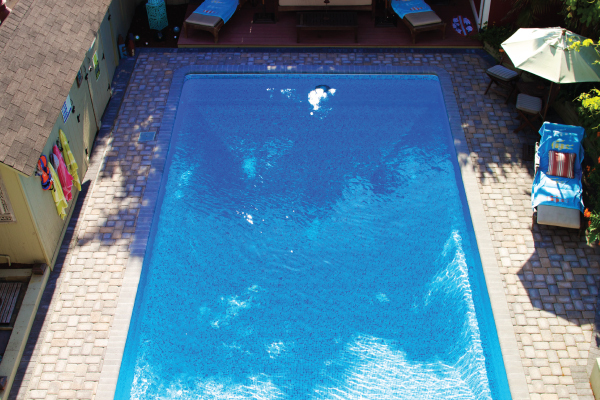 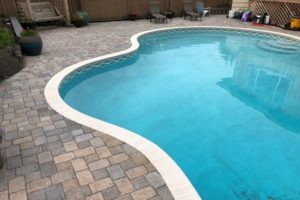 Why use Paving Stones, Travertine or Porcelain on your pool deck? 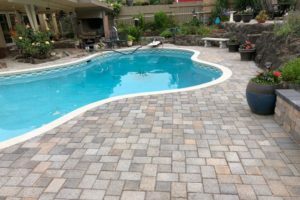 Aesthetics - Pavers, Travertine and Porcelain are available in many colors shapes and sizes and can be customized to match the environmental surroundings and the house itself. 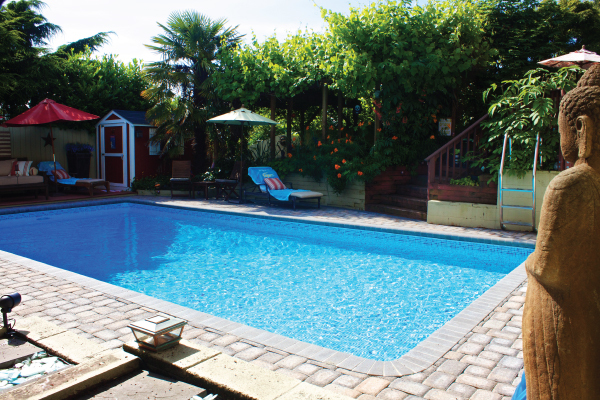 Easier To Maintain - Stone pavers are naturally resistant to mildew and algae. 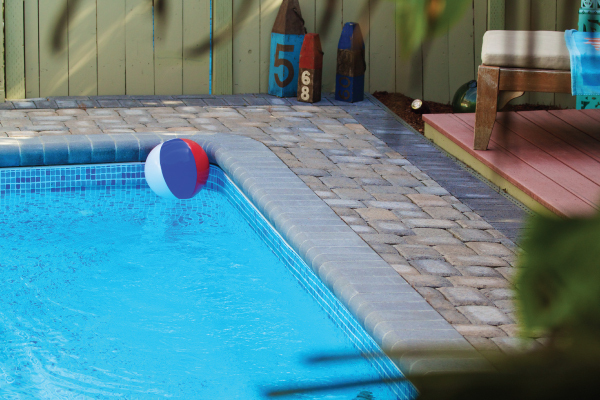 In addition, sealant and special polymer sand can be added to make this issue almost nonexistent. They can be easily cleaned with a gentle scrub with soap and water and just need the occasional sweeping. 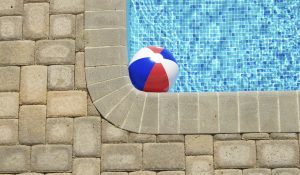 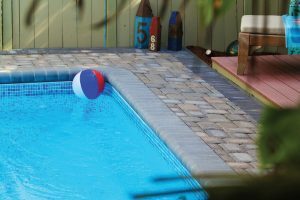 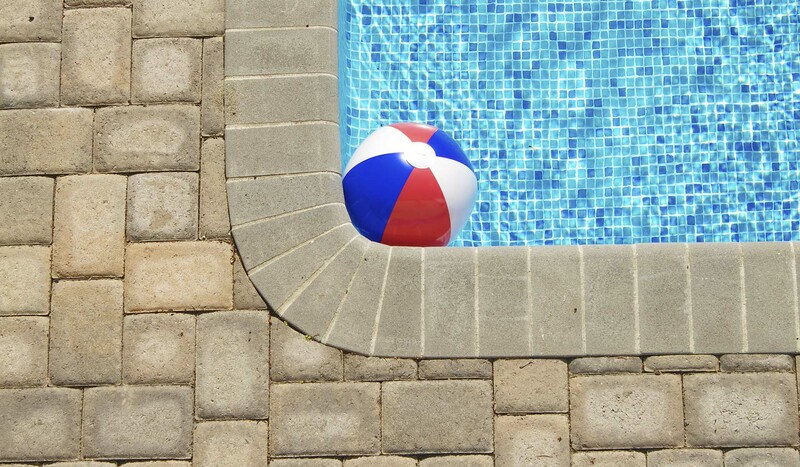 Better For Pool Maintenance - Because pavers can be spot replaced, if there are any issues with electrical or water lines to your pool, they can be easily lifted individually without having to redo the entire deck. 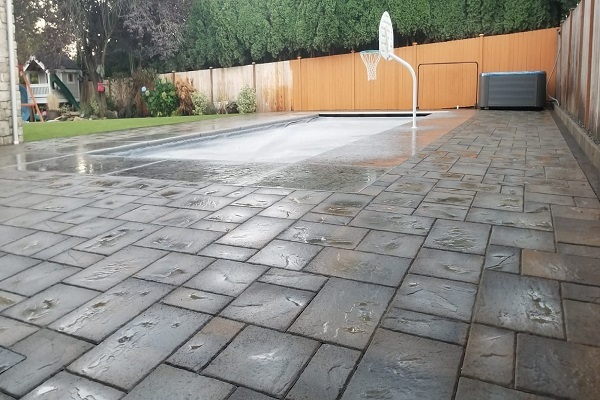 Better For The Environment - Because of the many joints in pavers, they handle water runoff more effectively than other materials, returning water naturally to the water table. 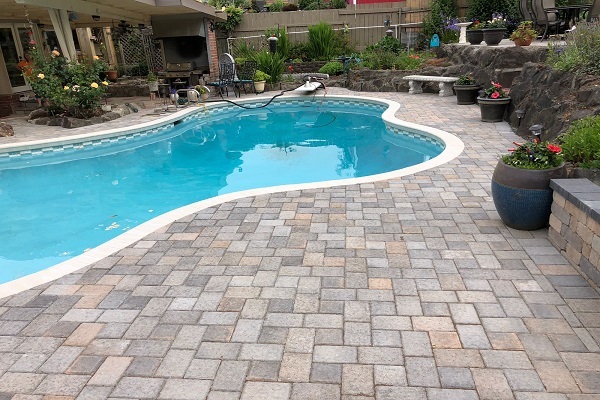 Aguiar Pavers also specializes in the installation of permeable pavers if desired or required by the city or neighborhood HOA. 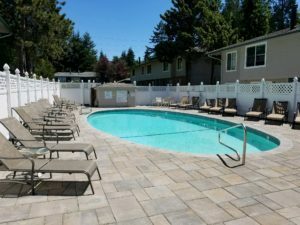 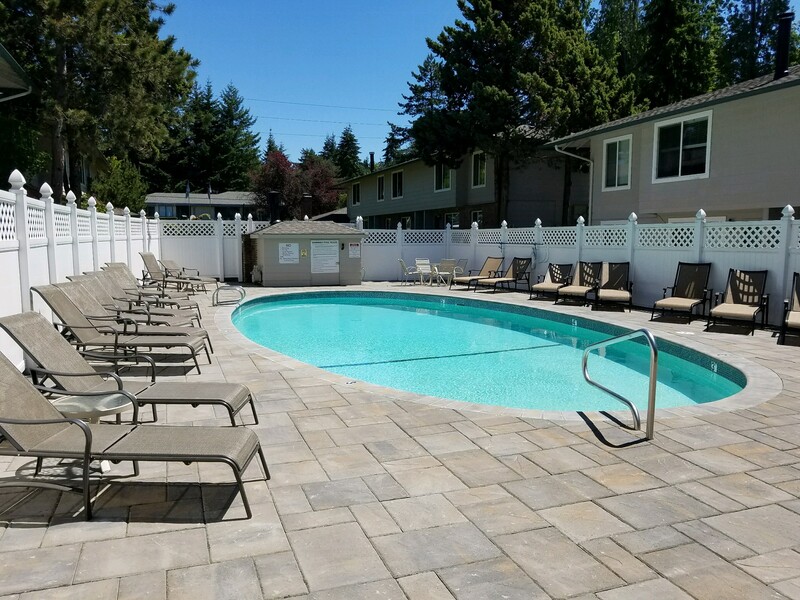 Aguiar Pavers has been in business for over 10 years in Washington State servicing Seattle, Bellevue, Everett, Tacoma and the surrounding communities.